Mark Twain once said that "There are lies, damned lies, and statistics," but we've amended that famous saying just a bit to accomodate today's Conservative lies. As we've repeated over and over, Conservatives have to lie because their real political "philosophy" is to enable the rich to rule over the 98 percent, not "individual freedom," "personal responsibility," "states' rights," or "right to life," or any of the other smoke screens they throw up. "20 Obvious Lies That Will Shock Conservatives (If They Ever Bothered To Read A Book Or Two)." "1) The Founding Fathers were generally religious, gun-toting small government fanatics who were so far to the Right that they’d make Ann Coulter look like Jimmy Carter. That’s nice. They also thought leeches could cure illness. Does that mean we should stop advancing medicine or building on their ideas for a better future? I’ll keep this mind the next time some gibbering buffoon demands that “original intent” be the only guide for interpreting the Constitution. The original intent of the Founders was that slavery was just fine, black people counted as only 3/5 of a man and women couldn’t vote at all. Let’s get back to basics!! Warning: you might find that women and African-Americans have some objections..."
"Fox News Admits That Their Immigration Coverage Is A Vendetta Against Obama." "The latest headline on the lie-riddled Fox Nation website cheers that 'Murrieta Wins Fight With Obama.' With Obama? So the Fox Nationalists see this humanitarian crisis as just another partisan scuffle with the president they despise so ferociously?" For the rest of the sordid story, go here. "Right-Wing Media's Fan Fiction On Hobby Lobby And The War On Women." "Right-wing media capitalized on the Supreme Court's Hobby Lobby ruling with the refrain that the so-called 'war on women' is nonexistent, a bizarre take on a decision that relied on conservative talking points to deal a devastating blow to women's rights and health access. 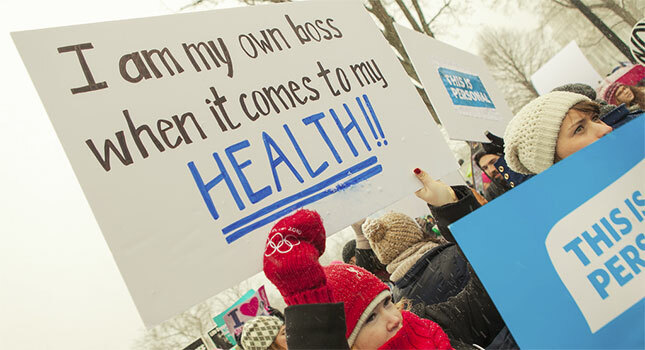 "Last month the Supreme Court ruled that "closely held" for-profit secular corporations like Hobby Lobby are exempt from the so-called contraception mandate, a provision of the Affordable Care Act (ACA) that requires employer-sponsored health insurance to cover comprehensive preventive health care including birth control. Right-wing media cheered the decision -- made by a conservative all-male majority relying on right-wing media myths in the opinion -- by mocking the notion that it limited women's access to health care or evidenced a larger war on women..."
When a Conservative preaches "right to life," he's preening before his rightwing ecumenicals; when he clamors for "liberty," he's distracting us from his rich patrons; when he urges his Sheeplets to uphold "personal responsibility," he's really distancing Conservatism from the Sheeplets' own poverty and ignorance; and when he says anything at all, he's telling us to not to follow the money. It's all about the money, something the Founding Fathers warned us about repeatedly along with the dangers of merging Church and State. The protection of the rich and powerful is what Conservatism is all about, a philosophy totally antithetical to democracy. 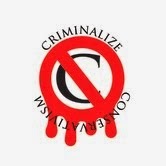 Need we say it once again...criminalize Conservatism! and children around the world."